HomeBLOGIs Your Facebook Content Being Seen? While there are many choices in today’s social media world, Facebook remains one of the most popular social media platforms within the U.S. So, it makes sense that many HIV organizations, including HIV.gov, continue to use it as an important outreach tool. However, many of us often wonder if the individuals and partners we’re trying to reach are actually seeing our content. 68% of Americans report being active Facebook users. 74% of US Facebook users reporting using it at least once a day. Nearly three-quarters of women in the U.S. (74%) use the platform, compared with 62% of men. People in urban areas are more likely than those in suburban or rural areas to use Facebook, as are those with a college degree when compared with people who have lower levels of education. Around eight-in-ten (81%) of those ages 18 to 29 use Facebook; that’s about double the share among those 65 and older (41%). The share of older Americans who use the platform has doubled since August 2012, when just 20% of those 65 and older said they used it. 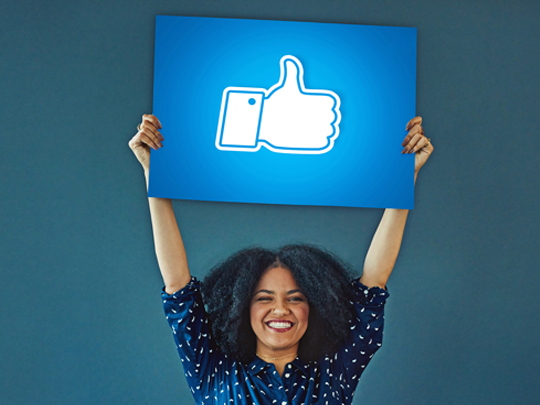 These changes have likely had a significant impact on how your Facebook content is shown to your followers, as most organizations have seen an overall decrease the reach of their posts. The new algorithm prioritizes “active interactions” like commenting and sharing over “passive interactions” such as likes and click-throughs. Consider using Messenger to engage with your audience (for more on this tip, check out our recent blog on the HIV.gov chatbot pilot). Look for content that is performing well and “boost” it (i.e., pay to increase the reach of the post). Some organizations have found success with budgets from $20 - $50 per post. Select high-priority posts (e.g., event announcements and reminders, registration links, organization news) to post as “paid ads” (i.e., enter the content through Facebook’s Ad Manager system). For more on Facebook’s paid advertising, watch for our upcoming blog with more details, tips, and recommendations. As always, you can also make an appointment for HIV.gov's Virtual Office Hours for free, personalized technical assistance on using Facebook and other social media.